The Occupational Therapy Show takes place this week and Dycem Non-Slip will once again be exhibiting! You won’t want to miss out, join us at the UK’s largest dedicated event just for Occupational Therapists (OTs), taking place on the 23rd and 24th November 2016. There is no show quite like The Occupational Therapy Show and it is the perfect setting to showcase our innovative Dycem Non-Slip products to occupational therapists. Dycem Non-Slip has always had a strong relationship with occupational therapists, sharing the common goal of improving patient care and safety for caregivers. The Dycem non-slip product range helps with grip, stability and independent living. The range includes non-slip placemats, coasters, high grip jar and bottle openers and anti-slip reel material which can be cut to size and shape. 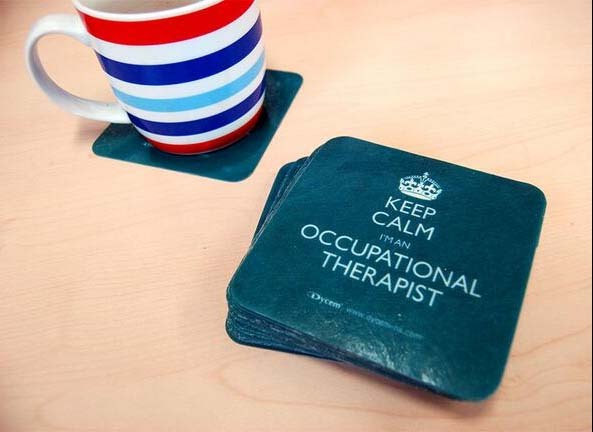 Visitors to the show at the NEC Birmingham will be able to find us at stand F1 and can collect a goody bag complete with a Dycem Keep Calm OT mat!